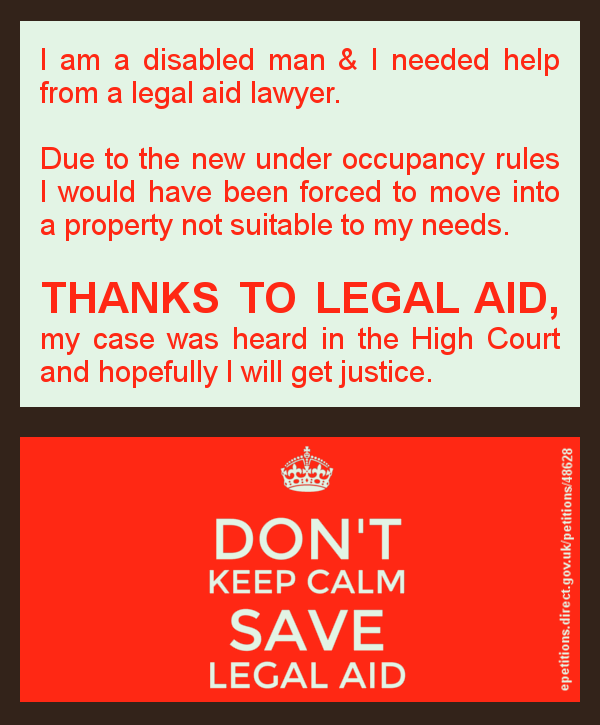 THANKS TO LEGAL AID, I am challenging the bedroom tax, which will force me to move out my home where I receive support as a disabled person. This entry was posted in Actions against local authorities, Clients with disabilities, Housing law and tagged cuts to legal aid, Legal aid, save legal aid, save UK justice by thanks2legalaid. Bookmark the permalink.